In this review we are going to look into an obvious scam called „AutoTrader Alpha“. It is presented by Tim Gold. Gold claims to be an ex Wall Street employee who quit his job to allow ordinary people to make profits with his trading software called AutoTrader Alpha. This software is allegedly based on a secret algorithm from a Silicon Valley and Wall Street insider and has a 96 % win rate. According to Gold it can make you between $550 and $2,100 per day. We know for sure that Tim Gold is a fictitious character played by a paid actor, so his story is a fiction too. 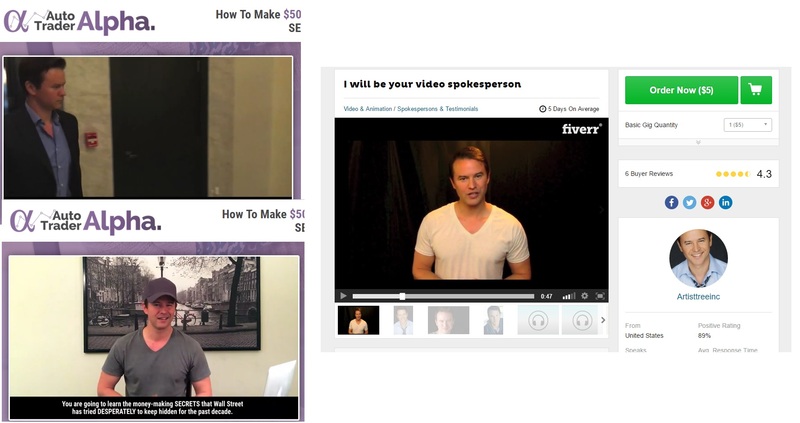 Look at the picture on the right, Gold is in fact selling his services on Fiverr, so anybody can hire him to play any role or to endorse anything. And it is exactly what scammers behind AutoTrader Alpha did, they made up a story and let this guy play the role. All the bank and trade account screenshots you can see in the video are fake. Testimonials too. 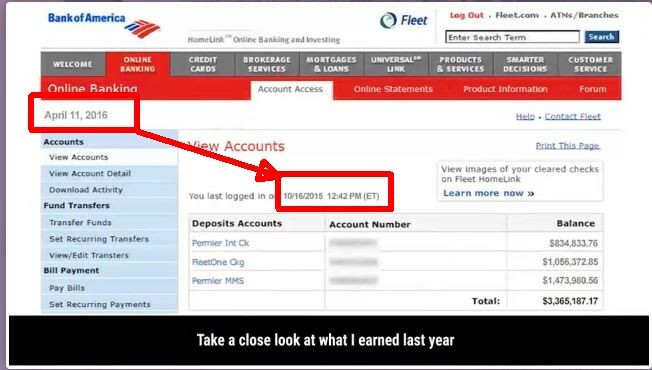 Let’s take the example on the picture, you see that according to the dates he did not check his account for 6 months. It is very unreal, the statement has been faked and not edited properly. The AutoTraderAlpha app that is supposed to make you money is in fact an app used by scammers to make people lose money. Lately we’ve seen it in the Fast Cash Formula, check the image on the right for a comparison. Auto Trader Alpha works like every other scam out there. People behind it are getting paid for every new depositor they refer to their broker, so they made up this story just to make you do that. Their crappy app has absolutely no edge, so if you use it to trade your account, you will lose your deposit. 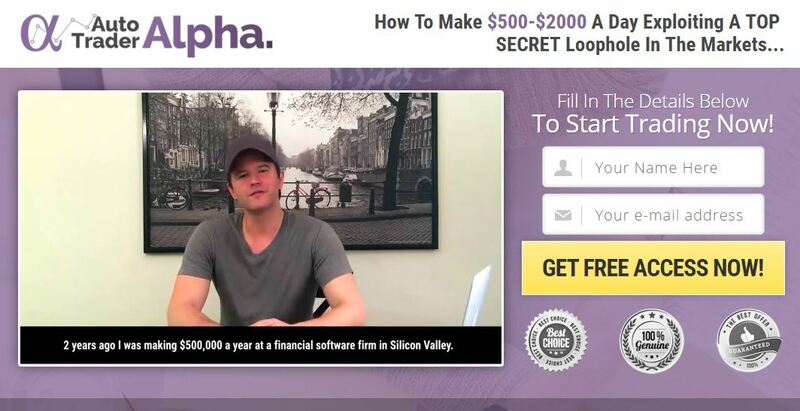 AutoTrader Alpha is an ordinary binary options scam that can only lose you money, so don’t use it. If you are interested in trying binary options trading to see how you can make money in it, do it on a free demo account. But forget about somebody making you money for free, you have to learn trading and build a profitable strategy. How do I get rid of Tim Gold in my emails?